Key Personnel - B & B Plumbing and Construction, Inc.
B & B Plumbing and Construction, Inc.
Our company is always reaching for new heights in business, and is proud of the individual and group accomplishments of all of our team members. Rick Bosley has been the President and owner of B&B Plumbing and Construction, Inc since he founded the company in 1978. He holds Master Plumber and General Contracting licenses in Texas and Arkansas, and also has his Master Plumbing license in Iowa. Rick has vast experience in both plumbing and construction, and is knowledgeable enough to fill any position in his company. He believes in the ideals his company was founded on, and does everything in his power to make B&B Plumbing and Construction, Inc. a better business. Rick has an open-door policy, and encourages his employees to continue to better themselves and their positions through education, training, and sharing ideas for improvement. Rick leads B&B Plumbing and Construction, Inc. with a positive attitude, reward system, and an ever-present sense of humor that inspires everyone on his team to do their best every day. Ron Bosley has been a Supervisor with B&B Plumbing and Construction, Inc. since 1994. Ron supervises employees on job sites while working with them and oversees all aspects of every plumbing project. Ron holds Master Plumbing licenses in Texas, Arkansas, and Iowa, and leads the Plumbing division of B&B Plumbing and Construction, Inc. with his advanced skills and knowledge base. His dedication, ideas, and leadership skills make him an integral part of the B&B Plumbing and Construction, Inc. team. Gary McGregor has 36 years of experience working with several construction elements including; welding, sheet metal fabrication, A/C, heat, & refrigeration service & repair, and job coordination. He is a master of adaptation, and has excellent problem solving skills. Gary has proven to be an excellent addition, and is praised regularly for his outstanding organization & people skills. Lee Demottier has over two decades of field experience in construction and construction site management. He has been an on-site Superintendent for BBPCI projects since 2012, and his vast understanding of construction and his continued commitment to our company standard and overall excellence have proven that he is an asset to the BBPCI team. Mike Wells also joined us in 2012. Mike has been working in various facets of the construction industry for over thirty years. 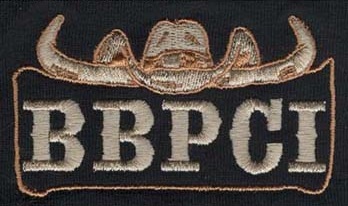 BBPCI is elated to have his expertise as a night-time Superintendent on our projects. With his extensive background and expertise in all aspects of construction, planning, and project management, Mike has proven himself as another valuable addition to our team.